Our timeline below highlights just some of the key achievements and developments at Derwen College over the past 90 years. 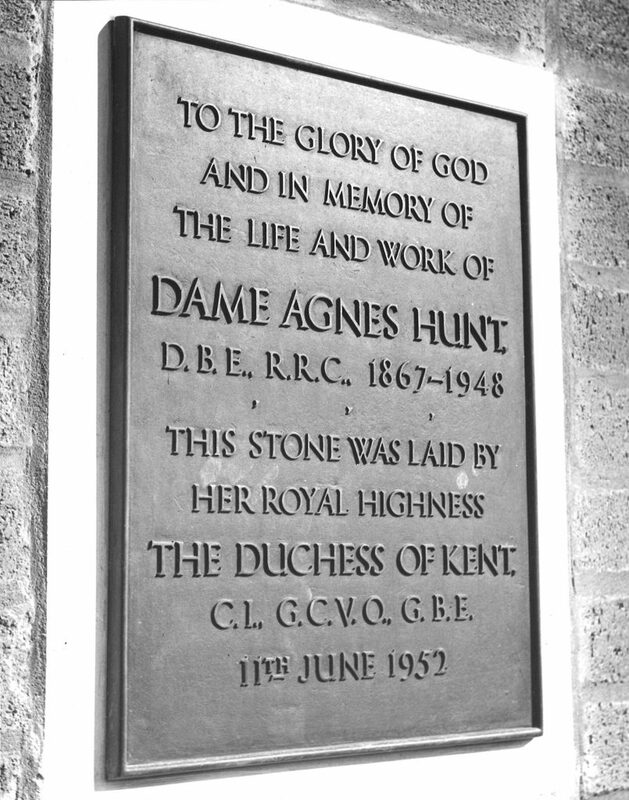 Derwen College’s history starts at Dame Agnes Hunt’s Baschurch home, fifteen miles from its current location in Gobowen. 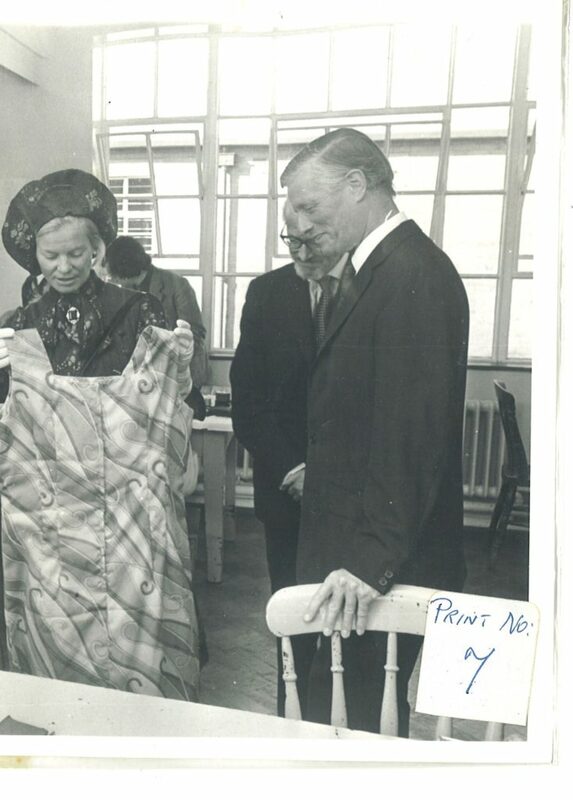 Agnes Hunt was a visionary but the facilities at Derwen now would exceed even her most ambitious dreams. 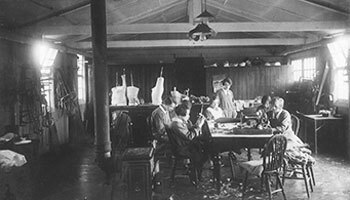 As you can imagine a lot has changed over the 90 years since Dame Agnes Hunt established (what was then known as) Derwen Cripples’ Training College – that includes written and spoken English. Agnes used descriptive language that would not be deemed appropriate today. 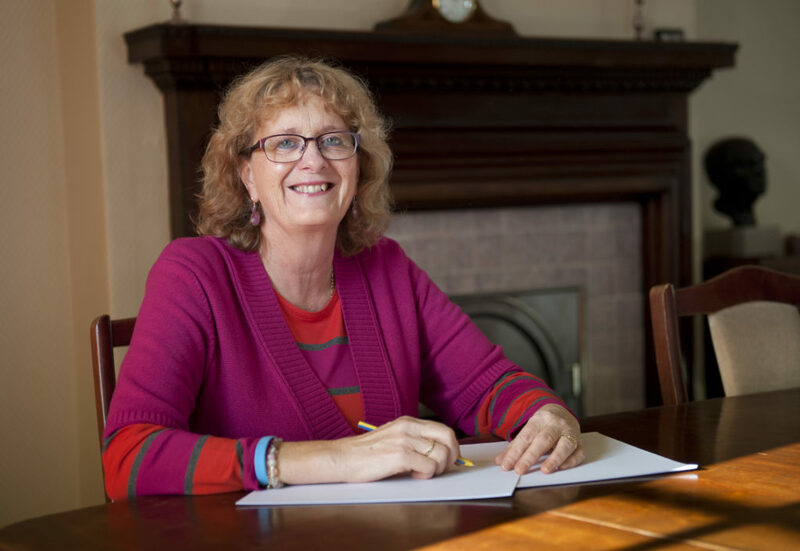 We wanted to include quotes and references in this timeline to give you a sense of time and place – and to do that we have used Agnes’ own words. Despite her disability from osteomyelitis, Agnes trained as a nurse. 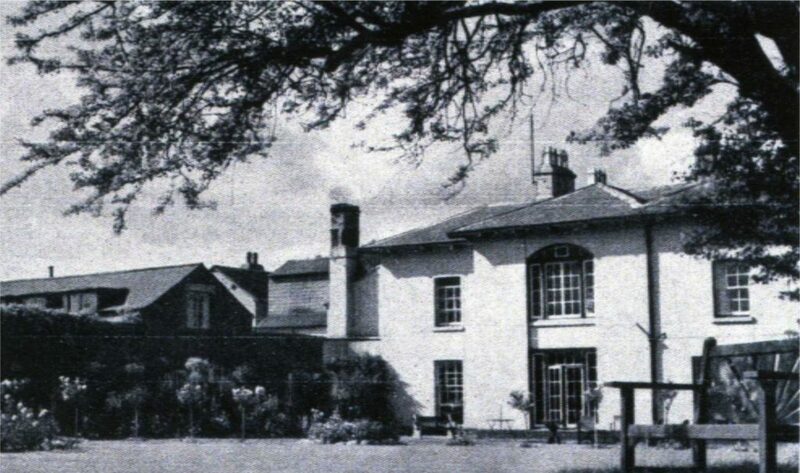 In 1900 she opened her home, Florence House in Baschurch, as a convalescent home for ‘crippled’ children, and extolled the benefits of open-air treatment. 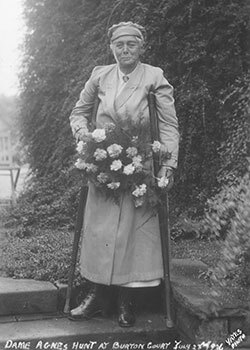 By 1903 she had formed a partnership with Robert Jones, a renowned orthopaedic surgeon, based in Liverpool. 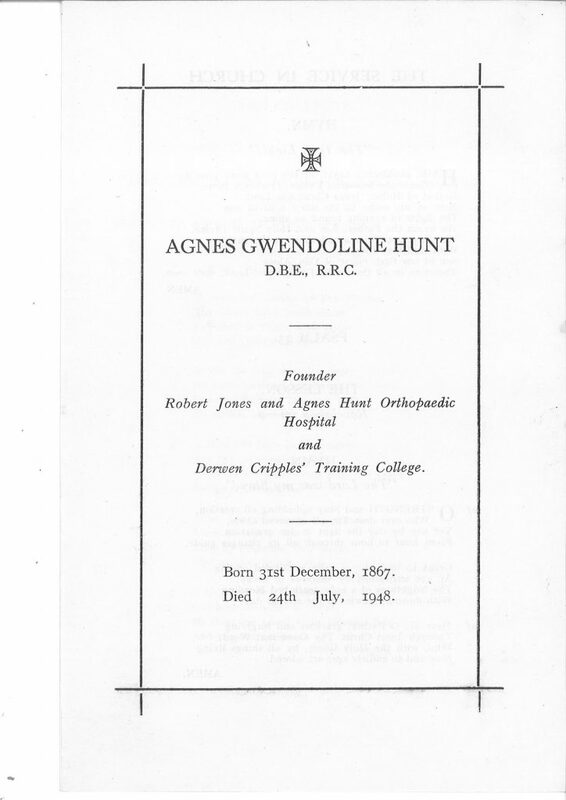 Agnes Hunt and Robert Jones devoted their knowledge and skill, to the service of the ‘crippled’ and led to the development of the Orthopaedic Hospital, Oswestry. 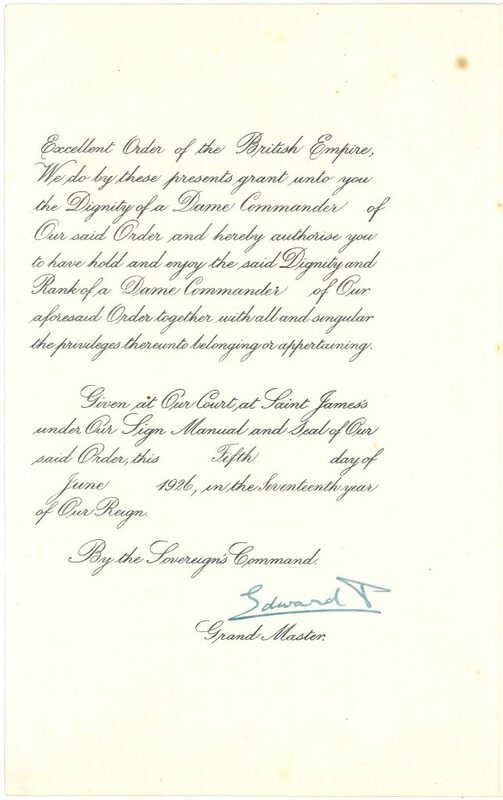 In Dame Agnes’ own words, her prayers were answered early in 1929 when Mr Rhaiadr Jones and his wife were appointed Manager and Matron of the college. 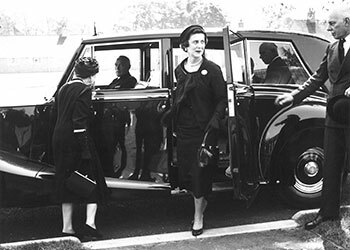 Dame Agnes continued to devote herself to Derwen until her death in 1948. 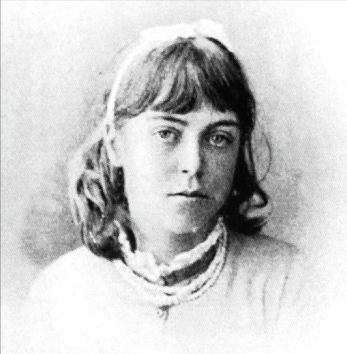 Rhaiadr Jones was to remain at the college until 1966. 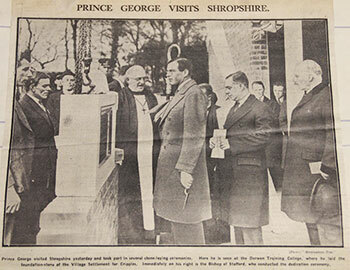 On 22nd January 1932 Prince George visited the college to lay the foundation stone of the Village Settlement Scheme officially opening Derwen Training College. 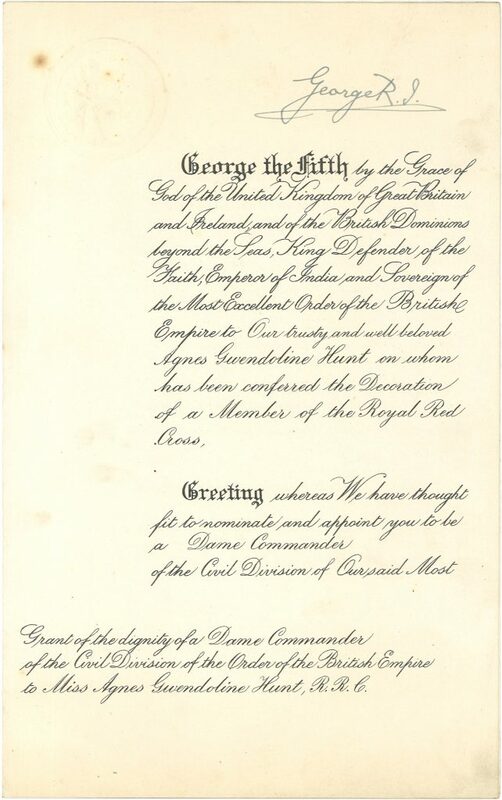 Dame Agnes Hunt was congratulated on the great work she had done by Prince George. 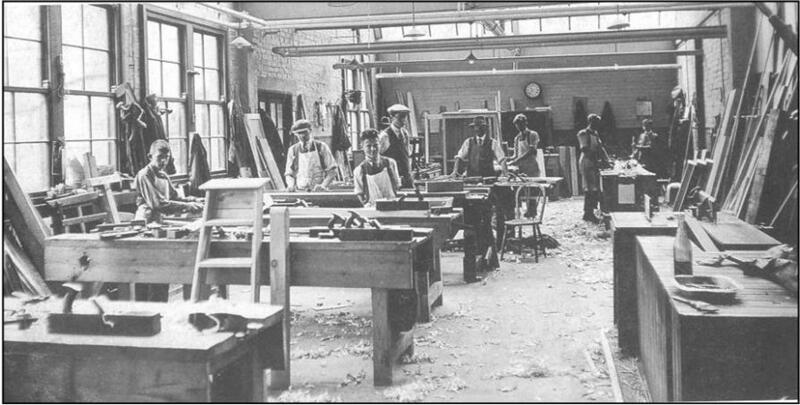 During World War II the college became an emergency hospital. 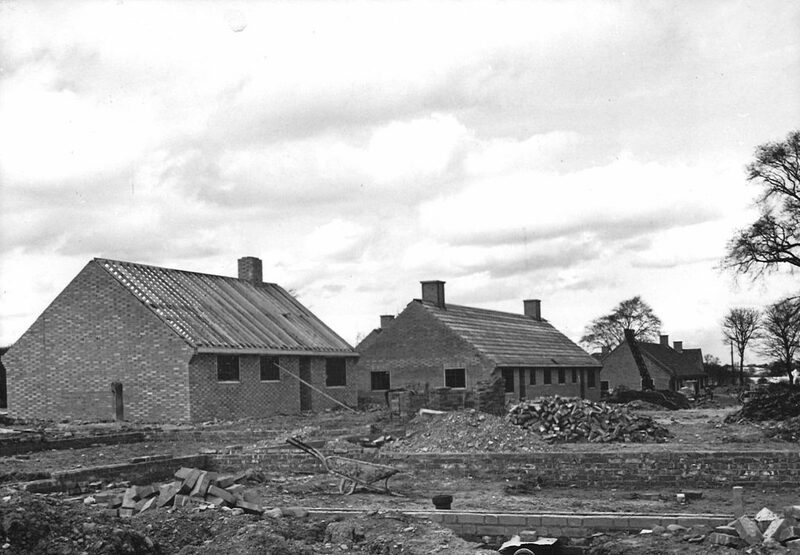 The Derwen was requisitioned as a military hospital from 1939 to 1946. At that time Derwen even had its own operating theatre. There were no students at college during this war-time period. 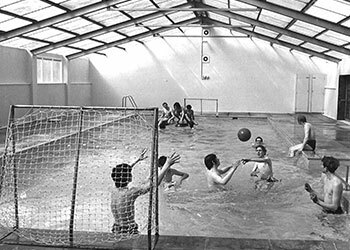 From 1948 to 1966 there were very few students at college with many referred patients on rehabilitation programmes from across the North West, West Midlands and Wales. 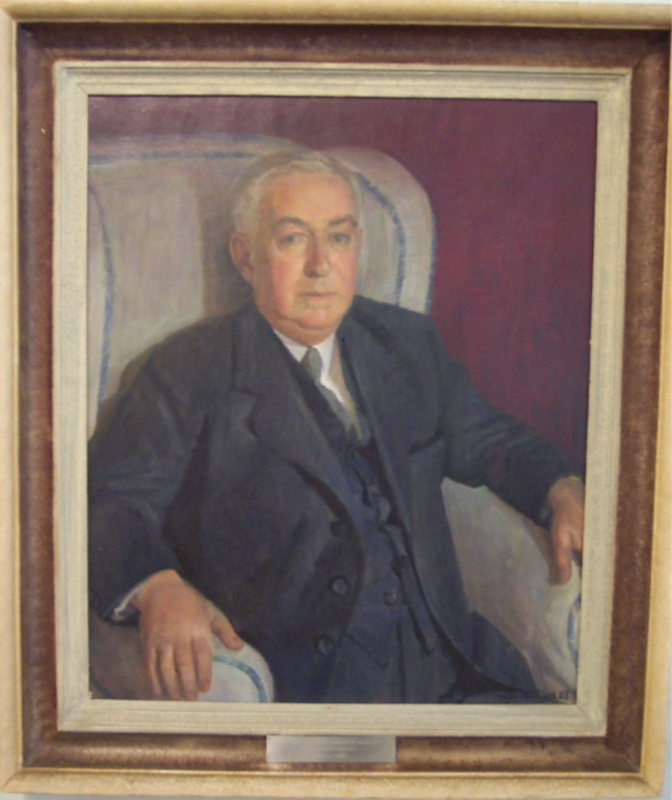 On 5th July 1948 management of the Orthopaedic Hospital was taken over by the Birmingham Regional Hospital Board as part of the new National Health Service and was called the Robert Jones & Agnes Hunt Orthopaedic Hospital. 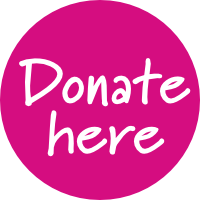 The college continued as an independent charity. 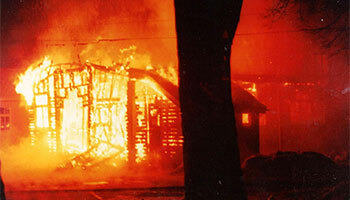 After a fire completely gutted the concert hall in 1982 a fundraising effort went in to full swing and in the same year a new concert hall was built. The hall is still in use today as a very busy Student Union. It is the main social area for students to spend their leisure time and also the location of the Summer and Christmas shows. The Orangery Restaurant is a training restaurant for our Hospitality and Housekeeping students. 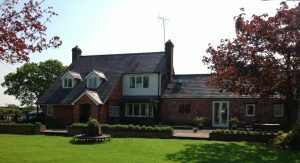 Situated on the ground floor of the original Derwen farmhouse, The Orangery is a great venue for events such as Afternoon Teas, family get-togethers and parties. Open Sunday to Friday, you can visit The Orangery Restaurant for breakfast from 10am, light lunches and weekday specials. Sunday lunch is very popular and booking is essential. 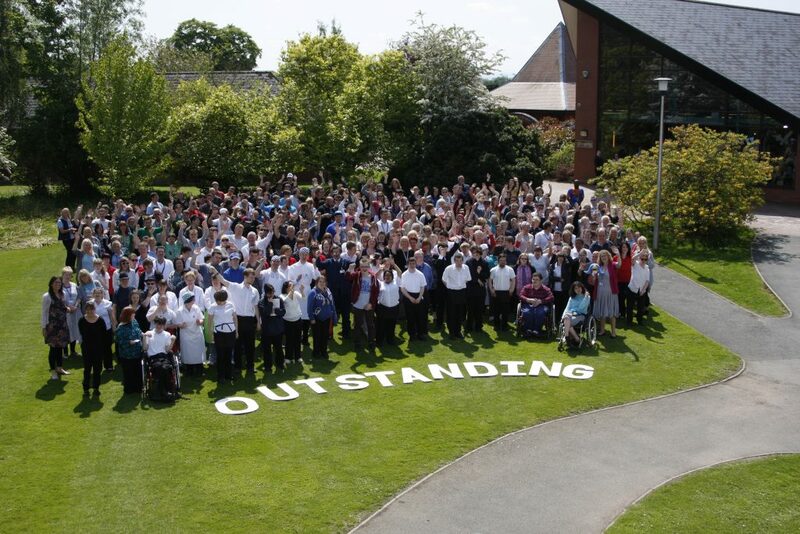 In 2003 Derwen College became the first Specialist Independent College for learners with Learning Difficulties and Disabilities to be awarded Ofsted Outstanding * Image is from 2016 – Derwen’s third Outstanding Ofsted result You can view all of Derwen College’s Ofsted reports here. 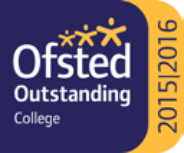 In 2012 Derwen College was award a second, consecutive, Ofsted Outstanding result * Image is from 2016 – Derwen’s third Outstanding Ofsted result You can view all of Derwen College’s Ofsted reports here. In 2013 the Bradbury Food Centre opened and provides kitchen facilities for Hospitality and Housekeeping students. Students work in the Food Centre to produce bread, jams and chutneys. 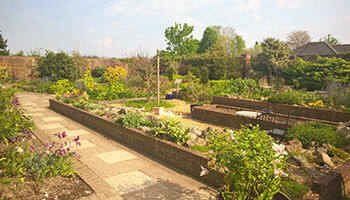 We use Derwen grown produce where possible and sell on-site at the Garden Centre shop. [email protected] opened in September 2014. 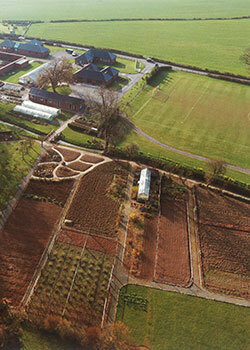 It is one of our three satellite sites and is based at Walford, near Shrewsbury. 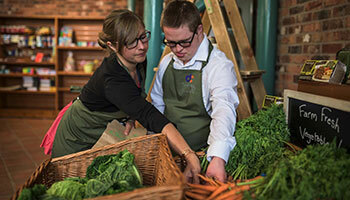 Students at [email protected] have the opportunity to access a broad ranging curriculum, these include: Arts and Design, Horticulture, and Fitness encompassing Independence, Health & Wellbeing. Students work on projects in the local community enabling them to hone their team working and social skills whilst undertaking real work experience. 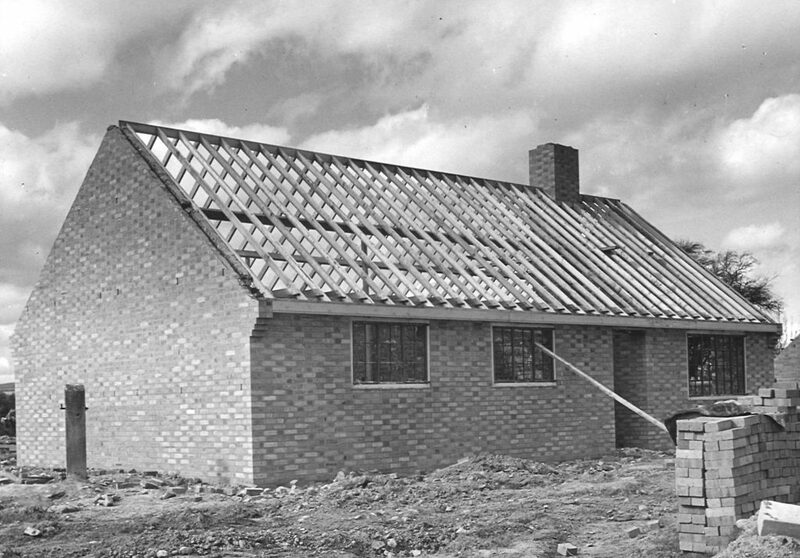 ColegDerwen is a satellite site of Derwen College, based near Higher Penley, Overton. Opening its doors to learners September 2014, it’s curriculum is prominently linked to Arts & Crafts, upcycling of furniture, conservation, horticulture and encompassing independence, health & well being. Students access the local community taking part in projects, whilst working on their team and social skills. 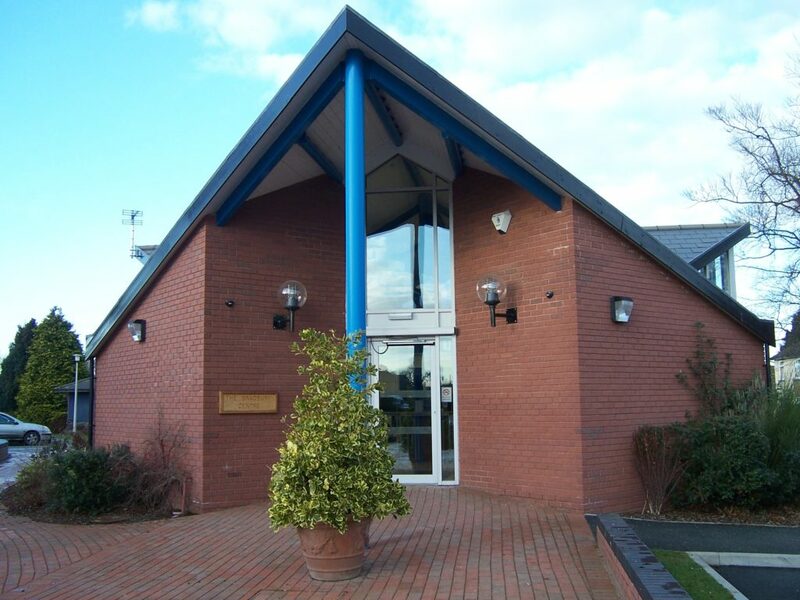 You can find out more about [email protected] Ashdale House by visiting their pathway page. 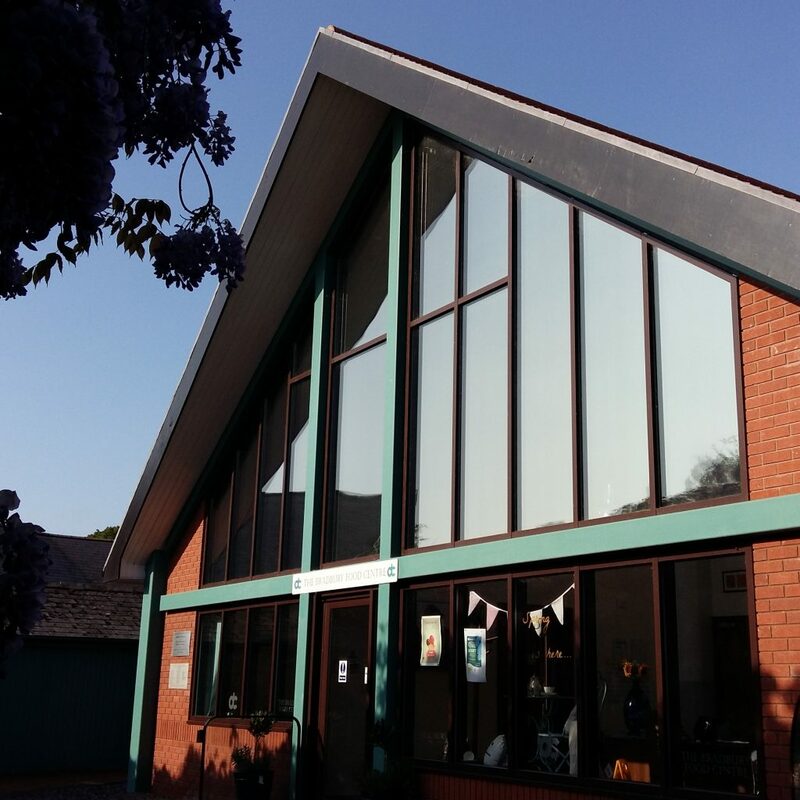 Opening its doors in September 2015, [email protected] is a satellite site of Derwen College, based in Craven Arms, South Shropshire. 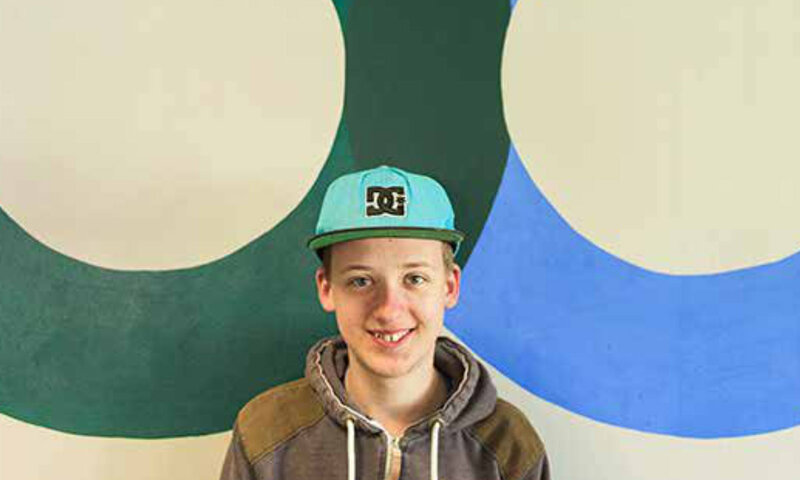 Undertaking a range of work based activities in employability skills and appropriate work experience. 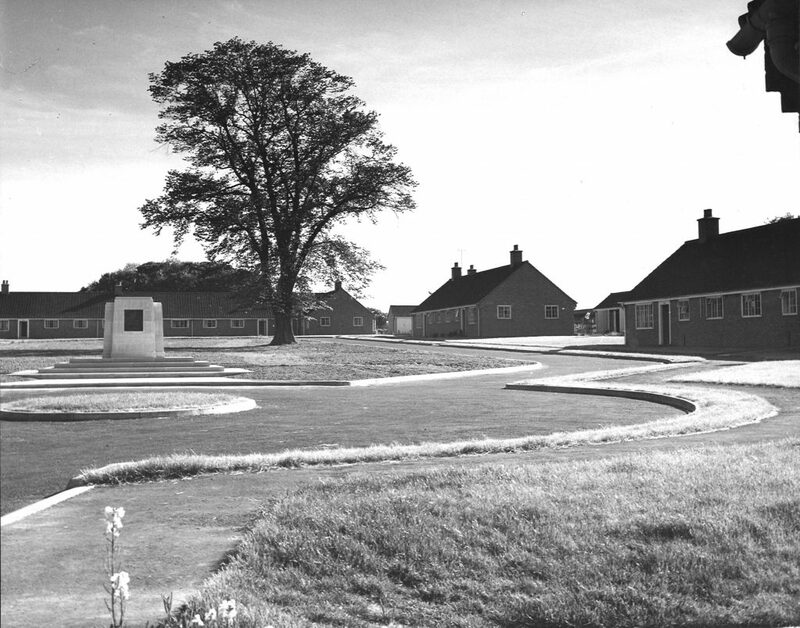 Students access the local community in Craven Arms for projects, work experience, team and social development. “We are immensely proud of this result. 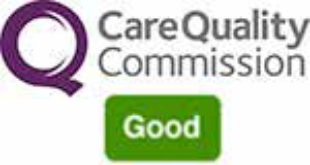 The outcome of the inspection highlights the unique work that goes on here at Derwen College. Inspectors were clearly impressed by the culture we have developed so that all staff have very high expectations of students and, as a result, students are supported and challenged to achieve their very best – and they do” said Meryl Green, Principal. You can view all of Derwen College’s Ofsted reports here.